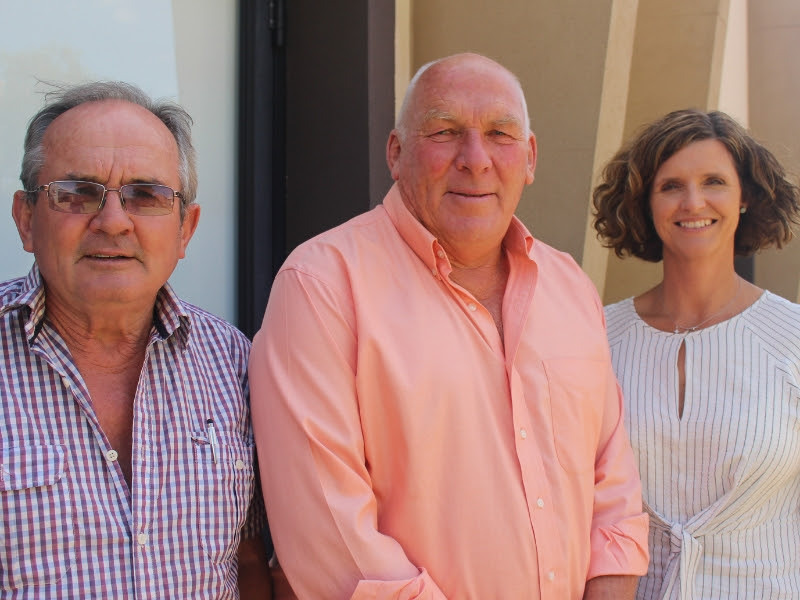 Inaugural Birchip Cropping Group chairman, Ian McClelland, incoming chairman, John Ferrier, and immediate past chairman, Caroline Welsh. LOCAL grain and livestock farmer, John Ferrier, has been elected chairman of the Birchip Cropping Group (BCG) in Victoria’s Mallee. Mr Ferrier replaces Berriwillock grain farmer, Caroline Welsh, who has stood down after leading the organisation for seven years. Ms Welsh will continue as a farmer member of the BCG Board. Ms Welsh took over the chairman role in 2012 from inaugural chairman, Ian McClelland, who headed the group from its formation in 1993 to 2012. Mr McClelland remains on the BCG Board. 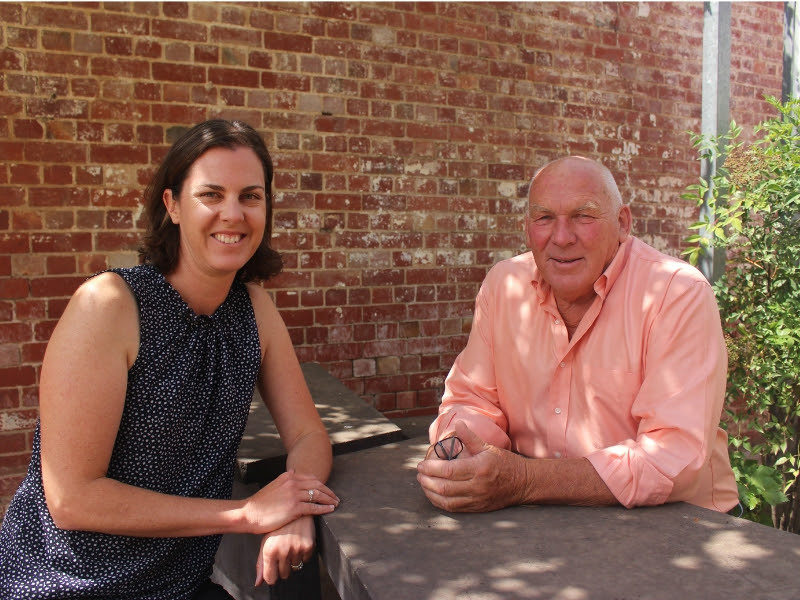 “Carrying on the baton from Ian McClelland was a huge honour and challenge for me, mostly because of the incredibly high esteem and respect so many people have for the Birchip Cropping Group, its people, its science, its community, its impact and reach,” Ms Welsh said. Corack based grain and livestock farmer, Dr Cherie Reilly, has accepted the role of deputy chairman of BCG. BCG deputy chairman, Cherie Reilly, and chairman, John Ferrier. THE CBH Group has announced the appointment of Ben Macnamara as its new general manager operations. 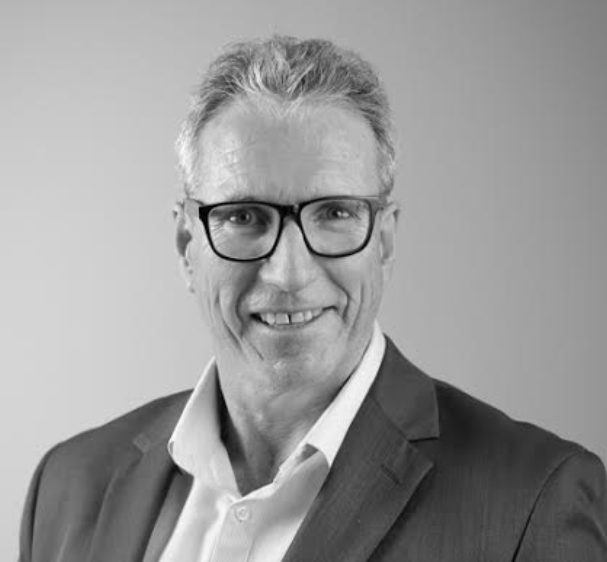 Mr Macnamara is currently CBH’s general manager planning, strategy and development, leading the planning of the future of the Western Australian storage and handling network. Chief executive officer Jimmy Wilson said Mr Macnamara’s deep understanding of the network and its future requirements would be invaluable as CBH continued to reshape the network. “At CBH we are solely focused on operating the lowest cost possible outbound logistical supply chain and providing the most effective service for our growers – the planning and operation of the network are central to these objectives,” Mr Wilson said. Mr Wilson said the new appointment was the result of current general manager operations David Capper giving notice and deciding to hand over the reins of one of the co-operative’s key roles after five years at the helm. “During his tenure, among many other achievements, David improved safety performance, grew CBH’s export capacity, developed and commenced the Network Strategy to improve network efficiency and grower service, delivered CBH’s largest harvest and export programs on record, and reduced grower storage and handling and freight fees,” he said. Mr Macnamara joined CBH in 2014 in the role of commercial and business development manager, and he was appointed to his current role on the lead team in December 2017. Prior to commencing at CBH, he worked for an investment advisory firm and an international professional services firm. The appointment will be effective from 18 February. UNIVERSITY of Southern Queensland (USQ) Professor Craig Baillie has been awarded a 2019 Fulbright Scholar Award to identify game-changing technology developments and strengthen collaborative research opportunities between Australia and the United States. The prestigious scholarship, awarded through the Australian-American Fulbright Commission, will allow Professor Baillie to spend four months based at College Station, Texas, from November 2019, working with Texas A&M University and other research institutions. 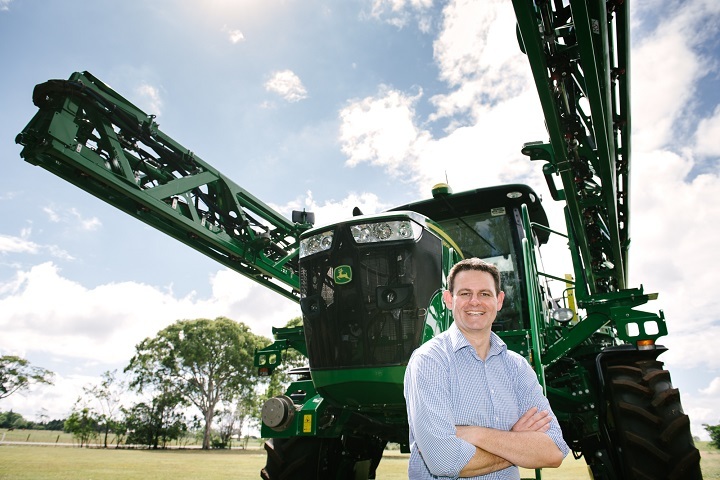 As director of USQ’s Centre for Agricultural Engineering, he has been focussing his research efforts on automation in agriculture, including an emerging array of agricultural technologies such as sensors, machine learning analytics and robotics that will inform future opportunities to improve on-farm productivity and profitability. His Fellowship will build on identifying research gaps needed to facilitate the next generation of technologies, as well as deepening relationships with current research partners including Texas A&M University, Iowa State University and John Deere. “The aim of this Fellowship is to identify game-changing technology developments that will lead to the next revolution in agriculture and identify collaborative research opportunities with US-based research partners that will make this happen,” Professor Baillie said. Professor Baillie said there was an opportunity to develop and incubate new technologies in Australia for a global market. 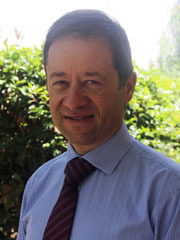 University of Southern Queensland (USQ) Professor Craig Baillie. 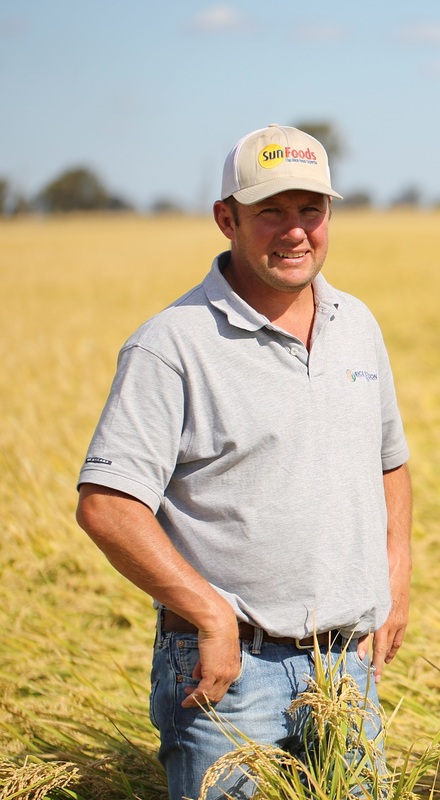 TROY Mauger has been appointed head of the RiceGrowers’ Association (RGA) Rice Extension team. The Rice Extension is a program funded by AgriFutures Australia and administered by the RGA on behalf of the rice industry in the Riverina and Murray regions. The position became vacant following the recent departure of Gae Plunkett who had been in the role for just over four years. RGA executive director, Graeme Kruger, said Mr Mauger brought deep knowledge and experience to the role having previously served as the Murray Valley rice extension officer for 4.5 years and prior to that as extension coordinator with Dairy Australia. Mr Mauger is also a rice grower in his own right, has a Masters in Agriculture and is in the final year of the Australian Rural Leadership Program. Rabobank has announced the appointment of a new sugar and cotton sector analyst, Charles Clack, to its Australian and New Zealand research team. 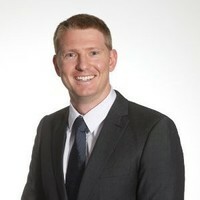 Mr Clack will join the specialist agribusiness bank’s RaboResearch Food & Agribusiness division from February 20, transferring from Rabobank’s global Agricultural Commodity Markets Research team in London, where he has most recently been responsible for the bank’s global market views on cotton and wheat. 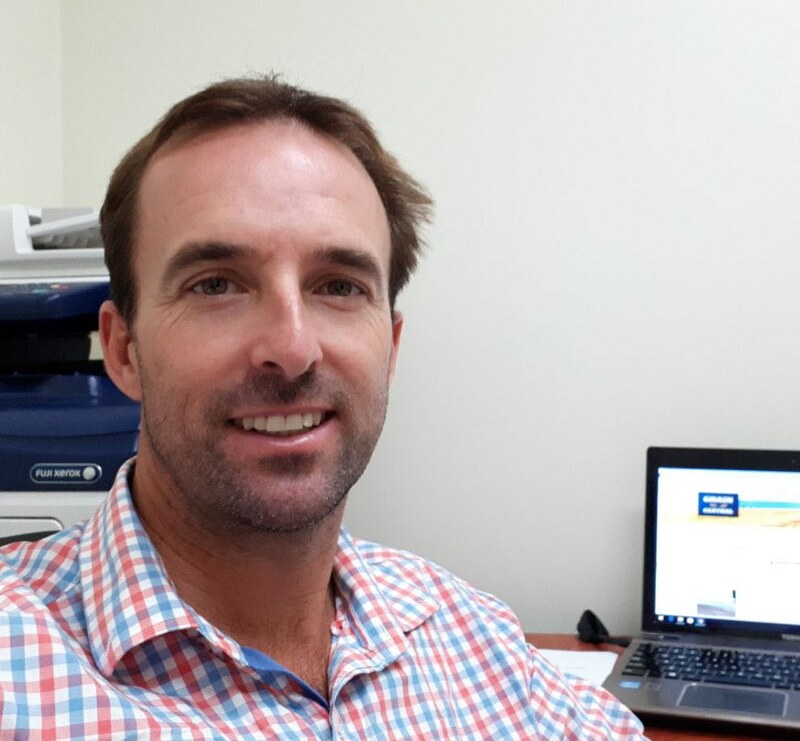 Mr Clack takes over the Australian sugar and cotton analyst role from Georgia Twomey, who has moved to a new position within the bank. Announcing the appointment, general manager of RaboResearch Food & Agribusiness Tim Hunt said Mr Clack’s strong credentials and experience – including in the Australian market – made him ideally suited to take on the role. “Charlie has not only had significant experience covering the global cotton, sugar and grains sector and supporting the bank and our clients in these sectors internationally, he is also familiar with and has a very solid understanding of Australia, having been seconded to the local research team in 2017,” he said. Based in the bank’s Sydney office in his new role, Mr Clack will continue to be responsible for the Rabobank’s global cotton price forecast and will also support the bank’s sugar sector business in South-East Asia and India. 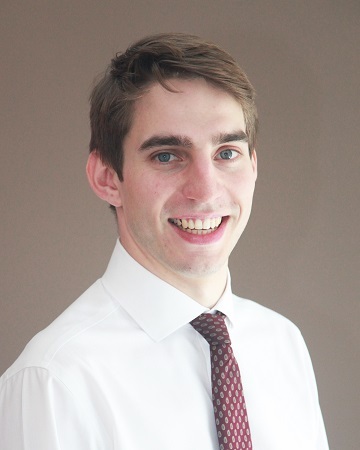 Most recently an associate director and commodity analyst with Rabobank’s Agricultural Commodity Markets Research team, Mr Clack joined Rabobank in the United Kingdom in 2014. He has a strong background in agriculture, growing up on the family beef and arable farm in Devon and holding a Bachelor of Science in Agricultural Business Management (Hons) from the University of Reading. SIMON McDougall has opened Norco Grain’s office at Tamworth in north west New South Wales to trade Newcastle-zone commodities. Tamworth operations will complement Norco Grain’s existing office at Toowoomba in Queensland, and expand the company’s presence in central and southern Queensland, and northern and central NSW markets. Norco Grain’s team is made up of trader-manager Ian Hanley, senior trader Mark Best, commodity trader Nev Brown, accumulator Lee Moller, Mitch Hanley in logistics, and Lyn Darr in administration. Norco Grain has stockfeed mills at Lismore, NSW, and Murgon, Qld, a dairy presence and rural stores in Qld and NSW, and poultry, beef, sheep and commercial customers. THE Australian Pesticides and Veterinary Medicines Authority (APVMA) has appointed three new directors to its office in Armidale on the New South Wales Northern Tablelands. Keith Lockyer has joined as Corporate Services director; Prue Oxford is Science Quality director; and Hugh Dawick has become Pesticides director in the Registration Management program. Mr Lockyer comes to the role with 28 years’ experience working in local government, with a background in HR, finance, procurement, IT, governance and asset management. Ms Oxford has joined from Biosecurity and Agriculture Services at Agriculture Victoria, with a background spanning trade and investment, community and industry engagement, marketing communications and veterinary science. Mr Dawick has relocated from the United Kingdom and has 22 years regulatory experience working in the Chemicals Regulation Division of the UK Health and Safety Executive. IKON Commodities co-founder Simon Clancy stepped down from the day-to-day business operations late in 2018, but remains on the board along with business partner Ole Houe. Alistair L’Estrange has assumed the role of cash wheat broker, and the coarse grain and container broking roles remain with Peter Camilleri and Sam Sloane. NOMINATIONS have opened for the 2019 Australian Cotton Industry Awards, which recognise excellence and high achievement throughout the cotton supply chain. This year’s awards will be held in Griffith, NSW, on July 24 in conjunction with the Australian Cotton Collective. Individuals and teams can nominate others, or themselves, for the 2019 Australian Cotton Industry Awards through the online nomination form at www.australiancottonawards.com. Nominations close at 5pm on March 31, 2019. 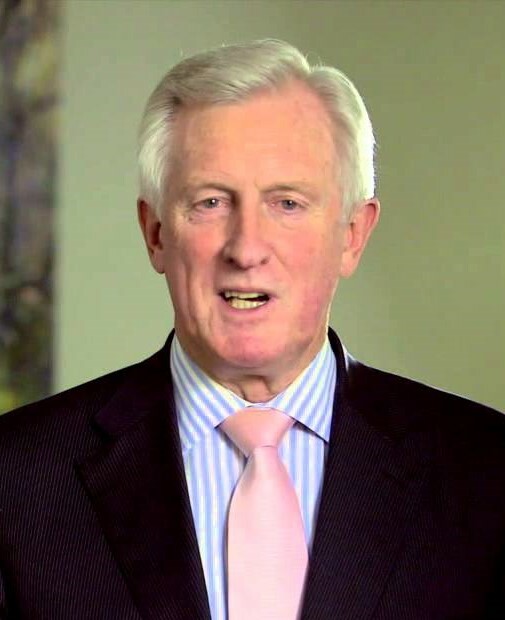 FORMER leader of the Liberal Party and leader of the Federal Opposition from 1990 to 1994, Dr John Hewson, has been appointed chair of Bioenergy Australia. The Bioenergy Australia board appointed Dr Hewson a director and on January 9 elected him as new chair, replacing outgoing chair Clean Energy Finance Corporations chief investment officer Paul McCartney whose term as chair concluded.